The Bizere abbey appeared and functioned, along with several other monastic foundations, in direct connection to the watercourse of the Mureș River. The location of this archaeological site was, most likely, an island during its active days and favored the development of a particular archaeological landscape. Various types of data (archival, cartographic, archaeological, geological, and geophysical) allowed valuable assertions to be made about the relationship the abbey shared with the river in terms of both local and long-distance communication possibilities. These also made it possible to retrace the watercourse configuration prior to the Habsburg river regulations and to comment on the negative impact the river eventually had on the site, due to its accelerated hydromorphology. Moreover, Bizere abbey is, so far, the only medieval site of the region where archaeological research has retrieved data pertaining to the topic of inland navigation and water transport. Remains of boats and at least one possible mooring location, along with other features, are proof of the practical solutions the Benedictines employed in order to make good use of, and even profit from, a location that, at times, could have become quite unfriendly. The study deals with the reconstruction of a monastic landscape of the easternmost Cistercian abbey in Europe, which is located today in central Romania, in the region called the Land of Făgăraş, which during the Middle Ages belonged to the border region of Transylvania of the Hungarian Kingdom. The research synthesizes the data from written sources, cartographic and archaeological data, as well as the results of non-invasive surveys, such as a geophysical survey, and extensive field walking. Results unveiled the existence of an elaborate water system (including traces of stream regulation, water channels, ditches, a mill site, and at least one fishpond), which was most probably developed and used by the Cistercian monks during different periods of time. Since the monastic buildings were situated in the floodplain of the Olt River and rich mountain streams ran through the area the water had to be regulated, controlled, and drained. The exact dating of the landscape features could not be carried out because these features were destroyed in 2014 by the establishment of a fishery. The remains of the Benedictine abbey of St. Margaret are situated 500 m south of the village Bijela, south-east of Daruvar (central Croatia), on a 120 m long and 85 m wide oval elevation. On the south-eastern side, the hill sharply descends into the Brzica Stream. During the fourteenth and fifteenth centuries, the Benedictine Monastery of St. Margaret, on the western slopes of Papuk, was one of the order's most important centers in medieval Slavonia. Although the exact date of the foundation and construction of the monastic complex is still unknown, Bijela Abbey has the best-recorded history. 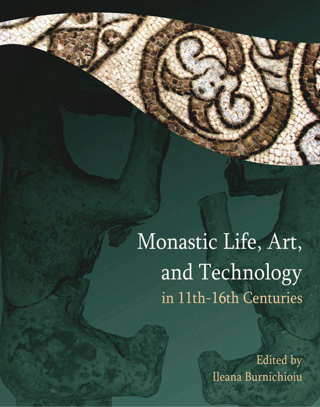 The number of known documents mentioning the monastery, from only ten in the fourteenth century increases significantly to a total of seventy in the fifteenth and sixteenth century, documenting the transformation of a priory into a flourishing abbey. In its beginnings, the monastic community in Bijela was subordinated to the abbey of St. Margaret of Garab in Srijem. The old abbey had vast estates in Slavonia, on the border of the Zagreb and Pécs dioceses, and organized the community in Bijela as a priory and grange to manage that estate. The abbey`s possessions encompassed a large area on the western edges of Papuk Mountain. This paper will present the possibilities of studying topography, Franciscan cadastre, contemporary maps, and written sources as a tool for mapping the structure of the abbey’s estate, with a market town, villages, parish church, mills, fish ponds, quarries, and distribution of arable land and woods. The paper will begin with an examination of the meanings of the words ‘function’ and ‘design’ and in particular their application to the practical and presentational aspects of buildings. They will be applied first to the monastic church, concentrating on those characteristics which distinguish it from churches for the laity. In this context, the English eccentricity of the monastic cathedral will be examined. The pair of opposites will then be used to explore aspects of the claustral buildings. These include the relationship of the chapter house to the main sanctuary of the church and the status and purpose of the sculptural decoration on its façade. The multiple openings on the façades of many chapter houses are assessed for their practical and symbolic value, and the openings are then compared with other entrances in the east walk, namely those into the book-room, the slype, the day stairs, and the parlour, which involves the role of the prior. The round and polygonal chapter houses of Norman England are then introduced, along with their iconography and the question of the extent to which centralised chapter houses are found on the Continent. This part of the investigation will also refer to Villard de Honnecourt’s diagram of a chapter house. With the reredorter, the chief question will concern the large size of some examples, with the refectory it will be its location on the St Gall Plan, while the kitchen will be discussed in terms of the contrast between standard types and the highly sophisticated designs of some examples in western France. In the case of the cloister, the arrangement of walkways at Saint-Riquier is considered. The paper concludes with a comparative assessment of the claustral building types and their parallels in secular contexts. The topic of medieval cloisters has been the subject of a number of important conferences (see Gesta 1973, Der mittelalterliche Kreuzgang 2004, and The Journal of the British Archaeological Association 2006). The Hungarian materials have been discussed by Ernő Marosi in 2001. However, the problem has not been investigated in the Central European context. Although the idea of the cloister is clearly manifested in the Sant Gallen Plan, the earliest standing cloisters date from the first half of the eleventh century in Western Europe. Opposed to Western Europe, where cloisters were common in the eleventh through twelfth centuries, monasteries in East Central Europe were usually lacking the cloister before the late twelfth century. The early monasteries were often built with wood (especially in Bohemia and Poland), and later stone constructions did not follow a severe regular plan (see e.g. Feldebrő or Pásztó in Hungary). In many cases, the full cloister was built only in the thirteenth century (Mogilno in Poland or St. George Monastery in Prague) or even later (Kladruby, Teplice). Cistercian abbeys were among the first abbeys built with a cloister; however, this is not as regular as was previously supposed and many of the early Cistercian foundations did not have cloisters for a period of time. Thus, they probably had less impact on other monastic buildings than was previously suspected. An important wave of cloister building was the activity of the royal Benedictine abbeys in western Hungary between 1210 and 1240. This can probably be connected to reform movements, although the papal letter of 1225 seems to be too late to be the major inspiration source. In other orders (e.g. Premonstratensians) and other territories, such as Bohemia and northern Hungary, cloisters from a somewhat earlier period cannot be excluded. Bizere might have been one of these early examples. The earliest datable cloisters in Bohemia and Hungary were attached to cathedrals and collegiate churches that might have served as prototypes for the monastic cloister as well. This was just the opposite to the practice of Western Europe where cathedral monasteries were built less frequently and often later than was usual among the monastic orders. This phenomenon may shed some light on the difference between the roles monastic and secular churches played in East Central Europe. We should remember that bishops, members of the royal court, were always incomparably more important figures than any of the abbots; and the size of monastic churches was usually much below the Western standard. It would not be surprising, then, if the secular church played a leading role in cloister architecture, too. The results of the archaeological excavations at the former Benedictine abbey of Bizere are represented now by a series of buildings’ remains and approximately ten thousand artifacts. Even so, the archaeological research is far from being exhausted allowing more working hypotheses regarding the spatial organization and monastic life. Therefore, at this stage, everyday life at Bizere is recomposed from artifacts intended for intellectual activities, constructions related to water management, various types of crafts (stone and masonry workshops, ceramic production, smithy, glass production), games, and pilgrimage. Isolated artifacts offer clues and generate discussions on shapes and functionality, as well as on their origin and production place. The latter half of the thirteenth century in the territory of Slavonia was defined by a turbulent political and economic situation. However, it was also the time of the initial expansion of the newly constituted Pauline Order that began with the arrival of recently gathered hermits in Dubica. This was a crucial moment for the order, as it had to obtain additional property in the attempt to secure its legality. Through many benefits from the Crown and numerous bequests from powerful noble dynasties and politically influential individuals, the order was rapidly strengthened. By the beginning of the fifteenth century, the Pauline monks had founded ten monasteries in Slavonia alone. Because of their transformation during the seventeenth and eighteenth centuries into the Baroque style, change of purpose from sacral to profane or military, or their complete disintegration, knowledge of late medieval Slavonian Pauline monasteries was scarce up until the end of the twentieth century. To amend this lack of information, the Croatian Conservation Institute begun a large-scale archaeological excavation project on Slavonian Pauline monasteries founded prior to the Battle of Mohács. Eight monasteries (Moslavina highlands, Remete, Zlat, Streza, Šenkovec, Lepoglava, Kamensko, Donja Vrijeska) have been ascertained and (partially) examined, while two are still only known on the basis of archival data (Dubica and Bakva). The objective of this paper is to present an overview of the characteristics of Slavonian Pauline monasteries' spatial organization, deduced in compliance with the results achieved thus far through archaeological excavations. The subject of this conference proposal comes from the results of a newly excavated suburban monastery, the Saint-Vanne Abbey in Verdun: located on a hilltop at the crossroads of major roads and rivers during Antiquity and the Middle Ages, the former abbey was later incorporated inside a major modern fortress (sixteenth century), the High Citadel of Verdun, and thus left untouched by contemporary buildings. The paper will summarize the results of the two first seasons of excavations, whose main objective was the global understanding of the site's layout, from the earliest ecclesiastical occupation (first half of the seventh century) to the different building and occupation phases of the monastery in the Gothic era (fifteenth century), with an emphasis on the most magnificent period, under Richard's abbacy (eleventh century). The function of spaces (place of worship and burial ground) will be especially considered, in the relationship with the local cult of holy relics. A comparison with other monasteries of the greater Mosan area (today's Belgium) will be made, regarding their architectural and stylistic character. In medieval Hungary, the kings often supported monastic institutions by salt donations. Although—unlike in many Western European provinces—salt mines were and remained until the end of the Middle Ages royal property, the participation in the salt trade was a major income source for quite a number of monasteries. The best-known source for this is the Bereg treaty from 1233 by which Bizere Abbey also received a certain quantity of salt. The ecclesiastic and particularly the monastic participation in the salt trade was significant especially from the late eleventh until the mid-thirteenth century. According to the charter evidence mainly Benedictine and Cistercian abbeys, as well as the military orders, had a privileged position. The paper deals with certain political and economic aspects of the Bereg treaty and with the monastic participation in the Arpadian-Age salt trade. The social and economic relationship between private monasteries has proven to be an important issue in assessing their function and role. In this sense, several cases from medieval Hungary were selected, in order to analyze the position of monastic sites within the structure of estates of that micro-region, especially the relation between the monasteries and the landed properties of the patrons. Furthermore, sources on the residence of the patrons will be reviewed in context with the monastic site. Several abbeys were connected to earthen fortifications or to other types of castles as well. These features and the topography revealed through this analysis suggest that the site of private monasteries had a more or less a central character. Aside from the obvious advantages offered by this position, the abbeys became more vulnerable towards the patrons. The patrons, according to custom, were directly involved in the administration of the monastic estates. Moreover, they were able to use the economic resources of the monasteries not only for the abbey but also for their own benefits and purposes—sometimes even by expropriating their lands. The time around the middle of the thirteenth century was a period of the popularization of the mendicant orders in the whole of Central Europe including Lesser Poland, which was one of the duchies existing after the feudal fragmentation of Poland. The Franciscans in particular, who arrived in Cracow during the apostolic mission led by the Saxon province, were quickly taken under the patronage of Duke Boleslaus the Chaste, who founded a church as his mausoleum in Cracow, although his predecessors were buried in Cracow Cathedral. The duke also founded cloisters in Nowy Korczyn and Zawichost; his sister, Salomea, became the first Polish St. Clara’s nun; his wife, Kunegund of Hungary, as a widow established and joined the convent in Stary Sącz. In this way, Franciscans became the most important order, protected by the local ducal family. The same process took place in other Polish provinces and had significant consequences. For instance, in Silesia, the local branch of the Piast dynasty was strongly connected with the Cistercians, but Duke Henry the Pious and his heirs of the Wrocław throne were buried in Franciscan churches. This turn to the Mendicants in the Piast dukes’ patronage seems to be much more complex than in, for example, Bohemia. In Lesser Poland, this phenomena is even more visible because of some extraordinary examples, such as the central—Greek cross—plan of the Franciscan church in Cracow or the relocation of the first Clarissan cloister from Zawichost to the isolated site near the former castle of Scala. Comparative analysis of the role of the Franciscan cloisters in Boleslaus the Chaste's patronage and propaganda will be the main subject of the paper. The Pauline Order was not officially recognized until 1308, even though Pauline eremites had tried to get recognition from Pope Urban IV as well as authorization for using the Rule of St. Augustine since the mid-thirteenth century. Recognition never happened, as Paul, the bishop of Veszprém, determined that the eremite accommodations did not fulfill the Pope's main requirement after visiting and inspecting them; it appeared that the eremites did not have enough resources to support themselves. It was not until 1308 that Cardinal Gentilis de Montafiore assessed that this requirement was fulfilled and granted the Paulines the freedom to use Augustine’s Rule. After the initial poverty and modest hermit-like accommodations, Pauline monasteries throughout the later Middle Ages transformed into wealthy and distinctive monasteries. This process can be tracked very easily by looking through examples of Pauline monasteries, especially through the 545 medieval manuscripts from the Holy Virgin Mary Monastery of Garić. During its 300 years of existence, the monastery progressed from a small and poor hermit-like community to a significant feudal power with numerous estates, which included ploughlands, grasslands, forests, vineyards, fishing ponds, and mills. The estates were acquired through donations, leasing, and purchasing. Even though they tended to the estates themselves at first, maintenance became impossible without the use of peasants, servants, and other help after the expansion. This work will describe the course of monastic development and Pauline’s ascent from poverty to riches. The contribution deals with the both spiritually and materially rich environment of the dominion of the Rožmberk Lords, the most powerful noble dynasty in Bohemia. Thanks to their contacts and position in the Czech Kingdom, South Bohemia along with its monasteries (Cistercian monasteries in Vyšší Brod and in Zlatá Koruna, the Augustinian canonical monastery in Třeboň, and the monastery of Conventual Franciscans and Poor Clares in Český Krumlov) are associated with magnificent pieces of medieval Bohemian art that count among the top representatives of Gothic art in Bohemia and in Europe in general (the Madonna of Český Krumlov, works of the Master of Vyšší Brod, works of the Master of the Třeboň altarpiece, e.g.). This contribution attempts to outline both the spiritual and the cultural background of these works' origin, mirroring the piety that reflected the respect for relics. In this context, it is important to point out the relics of the Corpus Christi Feast, which was, in the manner of Prague festivities, held annually in the residential town of the Rožmberk dynasty, the city of Český Krumlov, and interconnected both functionally and spiritually the individual monasteries of South Bohemia. In medieval Hungary, towards the end of the twelfth century, many cathedrals from the eleventh century were in the progress of being rebuilt or approaching completion. Remarkably, the completion and superior renewal of two such architectural works—at Esztergom and Eger—with excellent marble works and the large-scale use of an elegant and exclusive marble material, are connected to the simultaneous identification of the local marble quarries. In Esztergom the interior of the Cathedral was certainly “encased” with marble as well. The walls and the pillars of the nave, which probably connected the choir, were also covered with marble. In addition, the preserved details of the variety of incrustation patterns and opus sectile floors have been associated with the preferred sites and routes of the cathedral’s liturgy. In the art historical research, the famous red marble works of the Esztergom Cathedral and the completion of the cathedral’s renewal are dated to the common ruling years (1185–1196) of King Béla III and Archbishop Job, illustrated together on the tympanum of the Porta Speciosa. The relics of the renewal of the Eger Cathedral at the end of the twelfth century—the turn of the year 1200—are represented by some early gothic pillar, rib, and capital fragments as well as by a large number of fragments of architectural details, carved in outstanding quality from white marble and red andesite. From these series of blind niches of various sizes and entablatures unfolds the articulated barrier architecture (probably the choir screen). To all this, a varied sampled opus sectile floor was associated. The ornamental small architecture partially accompanied by inscriptions and incrustations could be related to the elevated level of the main sanctuary and choir of the cathedral, as well as the vaulted burial chamber at the west end of the nave, which certainly represents the burial memory of King Emeric (1196–1204). A possible antecedent and iconographic model of the decorated marble choir and decorative floor at Eger could be the Deanery Church of Alba Regia founded by King Stephen, which got its decoration with the founder’s burial (1038) and his canonization (1083). The close connection between the chamber and the barrier architecture in Eger also raises the question of the king’s role as a builder. However, next to the king, the most important role was that of Bishop Katapán (1198–1217), who was an important person at the court of King Béla and his son. He started his career as provost of Alba Regia, in the 1190s he advanced to the chancellor's office, and from there to the bishop's chair. The bishop could have played a part in Emeric's decision to interrupt the royal burial series in Alba Regia by choosing to be buried in Eger Cathedral. This paper is the first to deal with a collection of carved fragments discovered during archaeological research at Bizere monastery. It is mainly about fragments of zoomorphic capitals probably originating from the most important area of the monastery: the main church and cloister. The author tries to find European stylistic connections and has dated them to the first half of the thirteenth century. La découverte des mosaïques de pavement médiévales de Bizere est un évènement notable pour les études d’Histoire de l’art du Moyen Age. En effet, il s’agit de l’exemple de décoration du sol en opus tessellatum situe le plus à l’Est du territoire européen, aux confins du monde byzantin. Son étude permet, sans conteste, de situer ces pavements dans l’orbite culturelle et artistique du monachisme occidental. Le style, très particulier, n’incite pas à proposer l’arrivée dans ces territoires d’équipes d’artisans mosaïstes provenant directement des grands chantiers occidentaux. Mais le répertoire et les caractéristiques générales de ces pavements font supposer la présence d’artisans ayant eu des contacts avec l’Occident roman; ils devaient probablement répondre a la volonté d’un commanditaire souhaitant situer les réalisations artistiques de Bizere à la hauteur de celles des grands monastères de l’Ouest. Au-delà des considérations de technique, de style et de chronologie, la question des rapports avec les pavements en mosaïque de Byzance est également évoquée. The Bizere monastery gradually fell into ruin during the sixteenth century and the site became a treasure hunting ground and a quarry for construction material. Consequently, all that was left for the scholarship was fragmentary, difficult to patch together, and dependent on the archaeological investigations. This type of research first began in 1981 and carried on between 2001 and 2009, and in 2014, retrieved a notable quantity of mosaic, sculpture, and fresco fragments. This paper is dealing specifically with isolated opus sectile fragments. It analyzes the variety of materials and shapes, technical aspects, and tries to identify some elements of the original design. This study is connected to articles dedicated to mosaics discovered in situ at Bizere as well as to the archaeometric analysis of mosaic tesserae in this volume. A large variety of building and decorative materials, including mosaic tesserae, were discovered during the archaeological excavation of the medieval Bizere monastery. In order to assess the material used for the decorative elements of the monastery, several tesserae made of rocks and ceramics and a “red marble” decorative stone were studied using optical and cathodoluminescence microscopy, X-ray diffraction, electron microprobe, and stable isotope analyses. Most of the studied tesserae consist of metamorphic rocks such as white marble, quartzite, greenschist, hornfels, and “serpentine marble” (ophicalcite). Magmatic rocks (basalt) and sedimentary rocks (sandstone, limestone, and breccia) were also identified. Based on the geology of the region we can assume that most of the rocks have a local source in the Southern Apuseni Mountains or in the Poiana Rusca Mountains. Moreover, the Mureş Valley, that is the alluvial pebbles of the Mureş River, could also be a possible source for the rocks. Some of the white marbles may originate from the Southern Carpathians (Bucova/Zeicani). The “red marble” found at the site is a bioclastic nodular limestone containing a large amount of Middle Jurassic Bositra shell fragments. Its petrographic and stable isotope characteristics point to a distant source, the Gerecse Mountains in Hungary. The possible local or distant sources of some white marble mosaics and other unique tesserae made of “serpentine marble” and black-and-white breccia are still to be identified. The ceramics studied are diverse in appearance including grey, red, and sandwich-structured mosaic tesserae and red brick. All but one was made from clay intentionally tempered with sand, most probably from the Mureş River. The phase composition of the ceramics suggests a firing temperature of ≤650-700 °C. The purpose of this study is to examine the presence of friar-artisans within the Transylvanian Dominican convents, and their involvement in carrying out works for the houses of the order and for lay communities. Starting with the regulations set by the Dominican constitutions and the provincial chapters in regards to the friars’ participation in building activities, the study will focus on written evidence for the presence of skilled workers among the Transylvanian brethren. The main sources for the topic are the early sixteenth-century city account books of Braşov (Kronstadt/Brassó) as well as two records from the priories of Sighişoara (Schäßburg/Segesvár) and Cluj (Klausenburg/Kolozsvár). The documents reveal the names of lay brothers skilled in construction trades and point to the ownership of appropriate tools and working facilities by the convents, but bring no reliable evidence about the friars’ work. A case example of prolific cooperation between the local communities and the Dominican brethren of Braşov, who provided building materials and management assistance to the city’s construction sites, is also discussed.